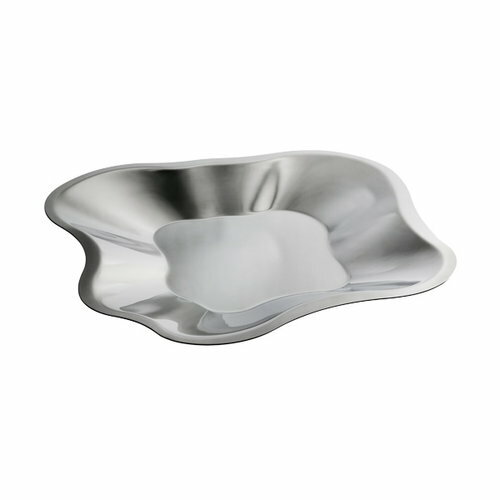 The steel version of Iittala’s Aalto bowl brings elegant shine to home decor and table settings. The steel bowl is an eye-catcher that matches attractively with different wooden or metal surfaces. Aalto bowl follows the iconic form of Alvar Aalto’s Savoy vase – it is a beautiful decorative object and suitable for serving fruits and snacks.